Tuscany has been a destination of many journeys, from those undertaken by the Grand Tour traveller, often in almost religious obeisance to the Baedeker's instructions, to the packed flights taken across our Global Village’s boundless space in the hasty mode of ''been there, seen it, got the T-shirt." 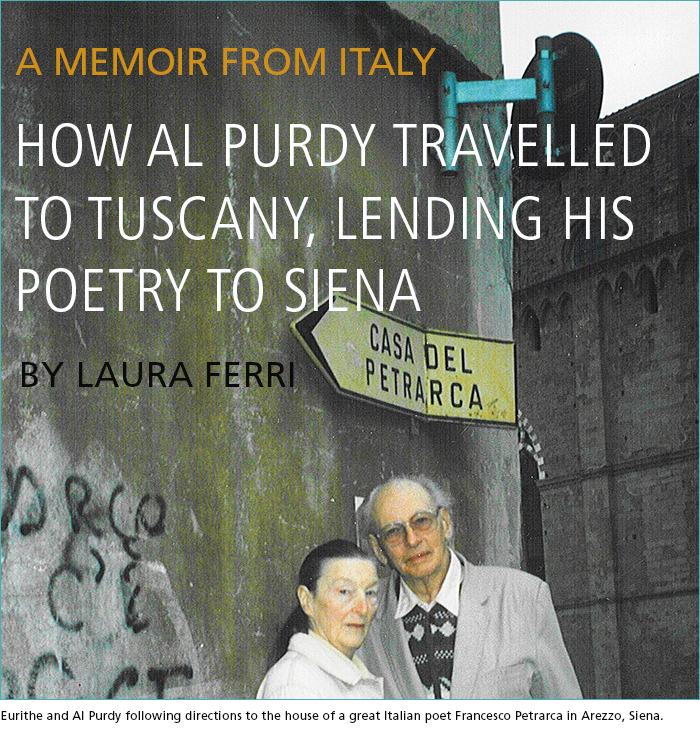 Among the visitors of past centuries and recent times who caught the magic, or the malady, of Italy and lent to Italy a magic of their own, since the late 1980s there has been a stream of writers and personalities crossing the Atlantic from Canadian places. They have been triggered into their journeying by different motives, sometimes simply following the tourist guide book, frequently on the assumptions of cultural exchange, occasionally, perhaps, carried by the “inconstant wind” of poetry in the Shellyan manner, rendering their visions in different guise.